My entire parenting journey has been in the Alaska Bush, save some summer breaks we've spent visiting family in the Lower 48. So, I'm not exactly sure if what's normal as an Alaska Bush Parent is normal elsewhere. Note to readers: I've also lost my ability to determine what's cool, according to my students who claimed I looked like someone from farmersonly.com when I was wearing (what I considered) awesome red boots and a plaid shirt. Additional note to readers: If you're curious about my response to the comparison to members of farmersonly.com, it may have included phrases like "how do you even know about that?" and "you watch too much TV." 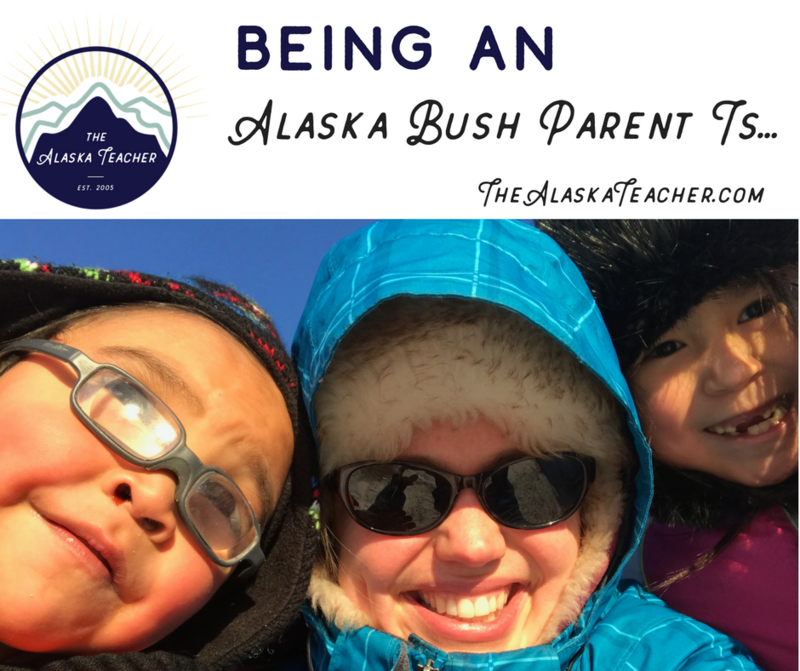 But, back to the idea of being an Alaska Bush Parent... Much like my post on what it is to be an Alaska Bush Teacher, I realize my experiences might not reflect what parenting is like in all areas of Bush Alaska. But this list is my attempt to give you a glimpse of what it is to be an Alaska Bush Parent. -Buying your son a sugar-laden only partially frozen slushie at concessions so he'll leave you alone long enough to eat your pizza before the basketball game. -Trying to get kids to bed when it's bright as noon outside and responding to the question, "Why do I have to go to bed when the sun's awake?" -Convincing tired a six year-old that it's morning, even when it's pitch black outside. -Watching a certain five year-old wake up at 3:00am, put on his glasses, and be ready to start the day because he literally has no idea it's not morning yet. -Wrestling a tantruming child into a snowsuit, coat, fur hat, sealskin mittens, and boots when it's time to go home. -Finding your favorite ivory bracelet, valued at hundreds of dollars, in the Barbie Dream House. -Letting one of your children wear the aforementioned ivory bracelet for a special occasion and watching it break as it's dropped on a hardwood floor. -Washing and drying coats, socks, and mittens twice a day during breakup (when the ice is melting). -Watching your children be spoiled by their namesakes' families. -Walking into the gym during a basketball game with your baby but not seeing that baby again until halftime. -Spending more money on your kids than yourself (that's probably parenting everywhere...). -Ordering birthday decorations two months in advance in the hope that they will arrive in time for the birthday party. -Explaining why people we know and love die, sometimes too early. -Knowing that there's a literal village of people that love and care for your children and will support you in taking care of them. I didn't expect to raise kids in the Alaska Bush, but that's exactly what I'm doing. And I'd do it again in a heartbeat. Previous: The Alaska Teacher’s Love Note Challenge 2018!